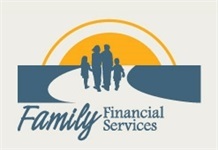 Family Financial Services... Unique in the industry, dedicated to the family, specialist in planning, professional money management* and taxation. Our goal is to help you achieve contentment in planning and managing your finances around your life – so that you have the opportunity to maximize your resources and your finances are not controlling you. From your monthly cash flow to your family goals and filing your annual taxes to retirement and beyond, FFS is uniquely positioned to help you make the most of all that you have under your care. 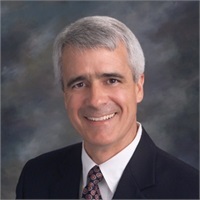 As founder of Family Financial Services, Jeff Robinson is currently the only financial professional in Minnesota or it's four neighboring states, licensed as a Certified Financial Planner™ (CFP®) and Enrolled Agent (EA), in addition to being certified by Kingdom Advisors (CKA®)**. As a Kingdom Advisor, Jeff adheres to a Biblical perspective. As a result, the mission at FFS is to help you develop a plan which is focused on your life, your personal values, and your faith. Jeff will work hard to earn your trust and confidence. No pressure. With your approval, Jeff would be honored to work with you to establish and implement your plan. To accomplish this, Jeff operates as a fee-based advisor. Jeff will offer a service if, and only if, it is appropriate to your needs. Meet with Jeff and experience true financial counsel without being pressured to make a decision. No man is an island; nor is any company. My unique ability to help you address your tax and financial questions, I believe is strengthened by the industry partnerships I have chosen to embrace. FFS is located just south of Minneapolis in Burnsville, Minnesota. However, FFS currently serves clients throughout the greater Twin Cities metropolitan area. Income Tax services are available for all 50 states. Please see the bottom of the page for more information regarding financial services offered in your area. **Results of a "Financial Advisor/Accountant/CFP" search at the KingdomAdvisors.com web site as of 05/15/2018. What do you see in the faces of this couple? What do they see in the ultra sound images? I see love, joy, and hope in the future. A bright future doesn’t just happen. It is the result of thoughtful, wise choices over many months and often years. Choosing a credible, qualified, and wise financial counselor is making a smart choice. Call Family Financial Services today!